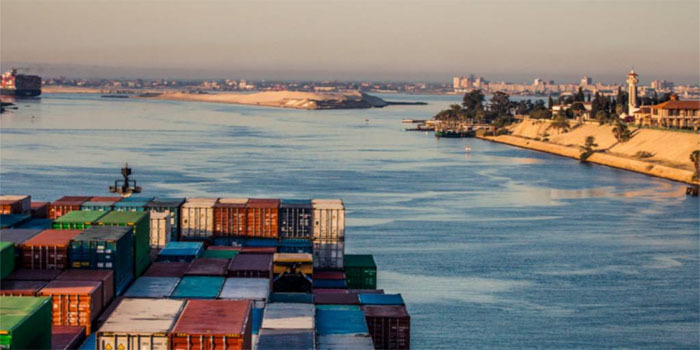 The Suez Canal Economic Zone (SCZone) is expected to see a plethora of investments in the next decade. Egypt’s General Authority for the SCZone is planning to build a group of water treatment and desalination plants to add 250,000 cubic metres of water a day. Slated for completion in 2020, the first water purification plant will provide 20,000 cubic metres of drinking water per day. Another plant is planned to have a capacity of 130 million cubic metres a day, along with 543 megawatts of electricity-generating capacity projected to be added by 2030. “DP World is executing a logistics project worth $550 million. The project will raise containers (handled) to 2.9 million by 2020, instead of 1.1 million this year,” SCZone general authority’s South region deputy head Admiral Mohamed Shabaan said, quoted by Zawya. Shabaan added that the expansion would be executed in three phases, the first of which was already completed. In April, a joint Egyptian-Russian company will be set up to operate and manage a $7 billion Russian Industrial Zone located on 5.25 square kilometres, SCZone general authority’s North region deputy head General Mohamed Baraya revealed. The major project will be built out in three phases over 13 years, the top official added.